Live Chat Talk to us! Struggling to find a generator? 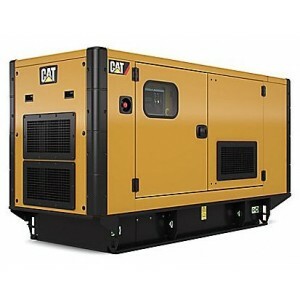 CAT generators and CATERPILLAR generator systems are Head-quartered in Peoria Illinois, USA and is the world's largest manufacturer of generators offering the most comprehensive range of genset models in the world. Generator Warehouse is an AUTHORISED CAT generator dealer and so if you require a diesel generator between the size range 7.5 to 17,550 kVA, you’ll be pleased to know that CAT generators are built to world-class standards with exceptionally low fuel consumption and meet global emissions regulations. Cat® Diesel Generators include a huge array of options to match your potential power demands, consequently, deciding the right diesel generator for your application is simple..choose a CAT! For prime, continuous or standby power applications, CAT diesel generators provide reliable, clean, economic power in the most extreme conditions. Every CAT diesel generator is designed and manufactured for optimum performance. A CAT branded generator offers many significant advantages over other brands including expert support and comprehensive service which is handled by local dealers. Generator Warehouse sells the full range of CAT generator sets for commercial installations suitable for data centres, mining sites, excavation applications and stone extraction plants. The majority of the low kVA range of CAT generators are available from stock in the UK and cover sizes from 20-600kVA in both open frame set configuration and silent canopied alternative. Generator Warehouse was started by a group of generator experts for people who want to buy generators for home backup, for business standby and for people in pursuit of relaxation but who need mobile power to do so.